I have discussed about equipment task list and functional location task list in my earlier posts. 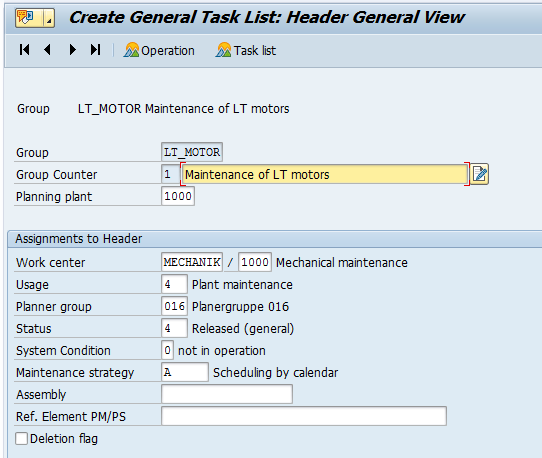 Lets have a look on General Task List in SAP PM. It is also a part of Master Data in SAP PM. General Task List is not an Object based task list because it is not created with reference to a technical object. 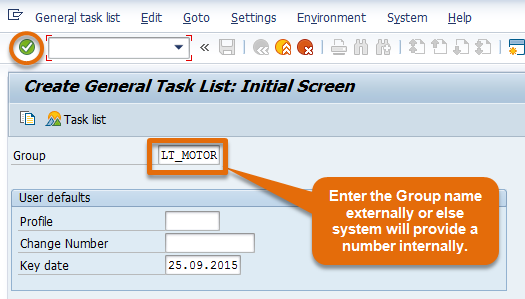 In SAP we use indicator ‘A‘ to identify general task list. 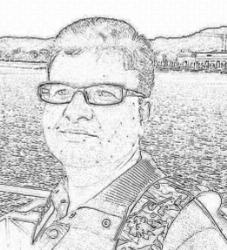 T code to create a General task list is IA05. General Task List is widely used in the preventive maintenance and routine maintenance. It is comprises of maintenance operations which are common to several technical objects (Equipment and functional location both). of critical and unique equipment, which requires some special maintenance operations to be performed at scheduled intervals. Suppose a maintenance work is to be performed on an equipment and maintenance tasks are specific (not general) to that equipment. In such a situation, we use equipment task list. 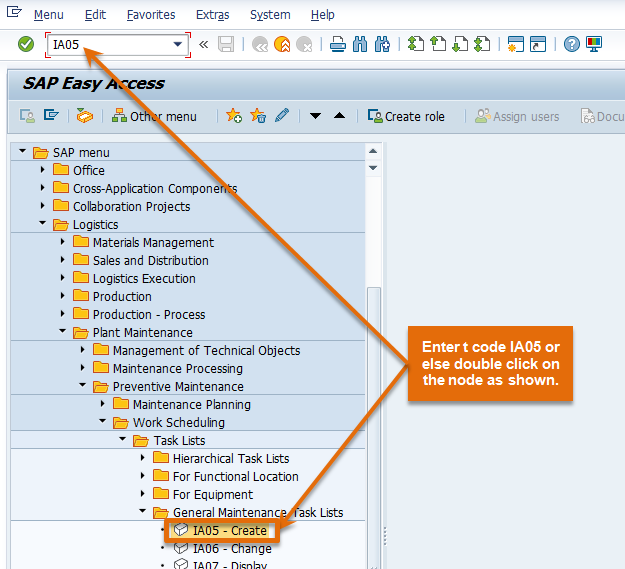 Step 1: Run t code IA05 or go to node on SAP Easy Access Screen as shown in the below screen shot. Step 2: Enter the Task List Group number. You can enter the group name externally or else system will generate a new number internally . Then press enter or click on tick mark as shown in below screen shot. Step 3: Planning Plant and Main Work Center will be entered manually. Group Counter will automatically update from system or else you can update it externally. Group is also updated internally from system. Here you must selected Usage = ‘4’ – Plant maintenance as shown in below screen shot. Rest all the entries are same as in Equipment Task List and Functional Location Task List. I request you to please refer my article on both topics. it is showing that already it is saved and it is not creating.